Boyarin for GTA San Andreas. 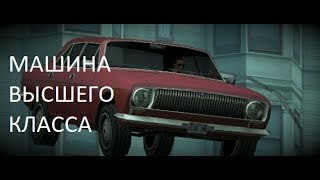 This car is an arrogance between GAZ 24, GAZ 24-10, GAZ 3102, also plans to house here GAZ 24-95 and release as the Bloodring. I would also like to say that the model was originally taken from Half-life 2, and the similarities remained, although the model was globally revised. The car has its own settings, without them the model may not behave naturally. All in the style of SA.